Auto parts SEO can become very complex especially for websites that have a broad range of products. 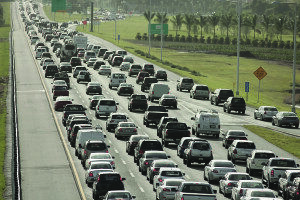 There are over 270 million vehicles in the United States with a large variation of make, model and year combinations. Are you looking for an auto parts SEO company for your parts website (manufacturer or retailer)? How do you know what you should expect in terms of experience, services and results? If you need SEO services, how do you know what to even ask a prospective search vendor? A lot of search agencies claim to specialize as an auto parts SEO company but a quick look at their website shows it’s just one of many industries they’re reaching out to. One page on a search agency’s website, devoted to auto parts SEO, doesn’t make any agency experts in this industry. Optimizing a website for specific automotive-related keywords is difficult and requires specialized skills. It requires knowledge of the vehicles addressed by that website, including the make, model or year of those vehicles. Model years will cover specific ranges, based on the “generation” of a vehicle. When you add in other variables at the vehicle level like engine platform, transmission, truck bed length and additional trim levels, the complexity for auto parts SEO increases very quickly. To give you an idea of how complex this can get, the Auto Care Association manages the ACES VCdb database, which includes about 50 unique attributes organized into vehicle systems or attribute groups. These are constantly updated and validated against base vehicle and sub-model combinations. 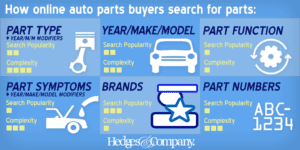 Consumers have specific ways for searching for auto parts online, which can vary a great deal based on where they are on the Road to Purchase, as well as the type of part they’re searching for. A search agency that specializes in auto parts marketing needs to understand these search types. Automotive parts SEO can fall into six main search categories, illustrated here: consumers can search by part type, by year/make/model, by part function, by part symptom, by brand (including the brand of the reseller or the manufacturer) and by auto part number search. It’s important to remember auto part number search can also include crossover part numbers in the case of OEM parts. 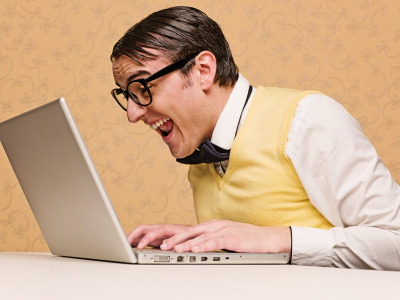 Without understanding how consumers search for parts, an SEO company can’t get your pages to rank higher organically. 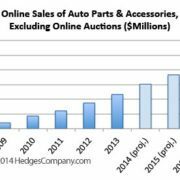 Search agencies know the competitive search landscape for automotive parts is continually changing. It’s important to stay on top of these changes in terms of keyword research as well as knowing how the search landscape evolves including changes to Google or Bing search algorithms or changes due to competing auto parts companies. One way to stay on top of this is to rely on specialized, third-party tools to help with keywords research. Another is to maintain in-house data to help with keywords. Yet another way is to stay on top of the competitive search landscape is to do independent research and case studies, which brings us to our next topic, search case studies. 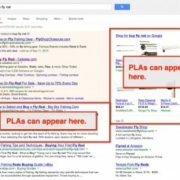 The best SEO companies in the United States for auto parts do their own testing and publish their own case studies. Here is a good example of a case study done using data collected by Moz from their semi-annual Search Engine Ranking Factors study. In our take on the 2014 Moz study we reached three conclusions. 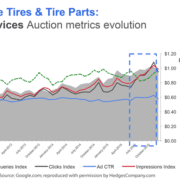 First, links to automotive domains had the highest correlation as a group. The original Moz study showed links to individual pages, not domains, had the highest correlations. Second, social links had high correlations in the original Moz study but are significantly lower for automotive pages. Third, the total number of plus ones using Google+ is the most important social link in both but isn’t used very often on automotive pages. Page Authority remains one of the most important factors in the most recent Moz study. 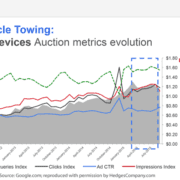 Here is a good SEO case study conducted using clickthrough rate (CTR) and organic rankings to determine engagement, along with other strategies, to work with Google’s RankBrain machine-learning algorithm. Here’s another good source to learn about RankBrain and its growing importance in search engine optimization. Auto repair businesses, including collision repair companies and body shops, have a similar set of needs to be ranked organically. Automotive SEO agencies should be aware of this. Although many of the same requirements for make/model/year apply, as described above, there are other important factors especially if a business needs to be found for local and mobile search. This can include optimizing a website for the all-important “near me” type of search queries. Name/address/phone number search queries (“NAP“) are also important to rank for. You may have guessed by now, we’re slightly biased when it comes to who might be the best SEO company for auto parts! We have decades of experience and a remarkable track record of success for our clients. We’d love to share some of our stories on SEO expertise with you and see how we can help your business. If you need to grow your sales or web traffic organically, give us a call!